What is a salesperson's job? If you responded "To sell a product or service", or any variation of this, then Who Stopped the Sale? 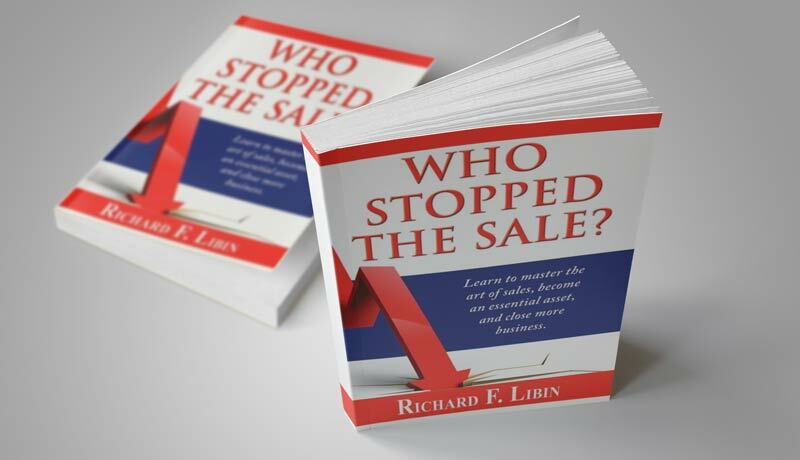 by Richard F. Libin - author, educator, consultant - is a must read. 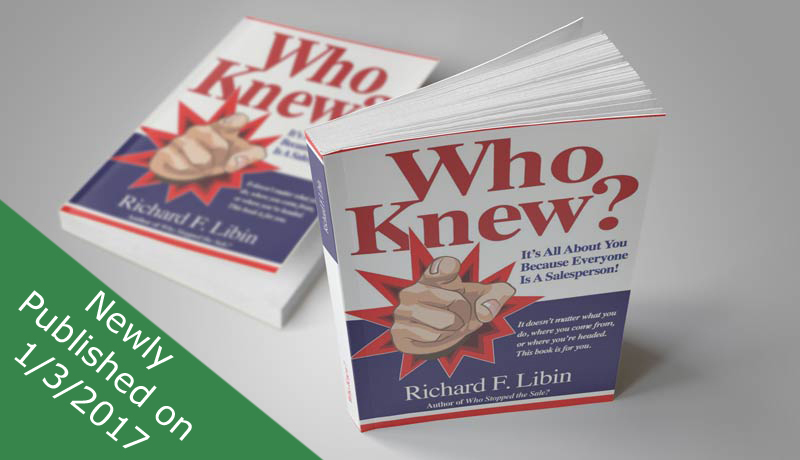 This book challenges sales professionals to close more sales without ever selling in the traditional sense. It doesn't matter what you do, where you come from or where you're headed. This book is for you. Why? Because everyone is a salesperson. Every day from the time you get up in the morning until the time you go to bed at night you negotiate, communicate and influence the way people think to sell something. Copyright 2008 - 2019, Automotive Profit Builders Inc. All Rights Reserved.